Emerald Heights is a world-class retirement community nestled in Redmond, Washington where seniors can take on an independent life style with health care at the ready. It’s more than a place to live, it is a fully interactive mini-society which includes multiple dining rooms, a full bar, a generous swimming pool with a private gym, and apartment style living spaces complete with substantial amenities. On top of all the niceties the care extends above and beyond with onsite health services for consistent peace of mind. 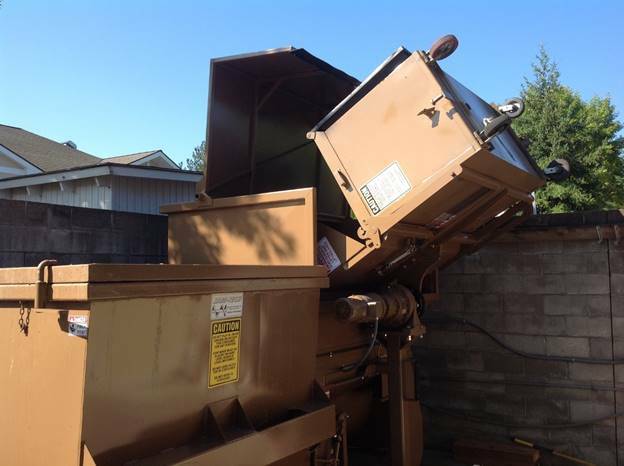 Being one of the top destinations for seniors in the Puget Sound, disposing of trash and recycle needed to be handled in a way that was also top-of-the-line. Sani-Tech Systems conquered their needs with our Model ST1040/30; it's perfect for larger residential areas like this community and provides the complex with the quality and cleanliness expected. The beautiful views surrounding Western Washington remain possible because companies like Emerald Heights are choosing environmentally friendly Auger Compactors from Sani-Tech! "The Compact Auger System we purchased through Sani-Tech recently replaced a 20 plus year old system (which was a Sani-Tech System as well); 20 years, it served us great and we are happy to have purchased a new unit from Sani-Tech! Thank you for the service and installation."